At this point hopefully we have all pretty much put our bees to bed for the winter. There isn’t much we can do for our hives now that we should have done last Fall. Gently lifting a side of a hive to check weight or maybe a quick peek on a warmer sunny day to check for winter stores. This is the beginning of our new year and is a time to reflect on our personal past year in beekeeping and do some introspecting on our future plans for this Spring. What are we going to do in relation to our apiaries- more bees, replacing bees, increasing or replacing equipment and woodware. Maybe this year growing some plants just for bee forage. It is actually the time to start thinking about ordering bees. Remember beekeeping is a business that is always thinking one or two seasons ahead. Our club has always been good at obtaining a supplier for our packages. Because of genetic issues there is never a shame in shopping around for possible sources of stronger bee stock. In the market for packages and nucs- suppliers are now already advertising for keepers to order early because they expect to not have enough bees to meet demand. Usually it is first come, first served for packages and nucs, but now some suppliers are asking for deposits on packages and nucs. Even if you aren’t sure if you are going to need packages, nucs or queens this year. Make a guess and reserve what you think you might need. If you find out you don’t need something you reserved let our club know and/or the local beekeeping Facebook communities. I guarantee there is always keepers that missed the deadline for ordering or just realized they needed bees that will buy your reserved packages or nucs. I just discovered this local nuc supplier; This is Kevin and Amanda Mills in Rochester. I have talked with Kevin and he is now taking deposits for nucs. He works with local queens in his nucs. If you are like me, I like to stretch my spending money for my bee stuff, out as far as possible. Now would be a great time to buy and assemble any woodware that we may be thinking we’ll need. One extra hive set in reserve is a good idea. With all the work and speding going on in the Spring- scrambling to buy and set up an empty hive for that surprise swarm capture is never that much fun. As far as woodware and supplies we have 2 local sources I know of which are the Lacey Tractor Supply Store and Beeline Apiaries in Rochester. This year I am going to put a bit more effort in planning, ordering, and planting bee forage. I feel the greatest time of need in the Pacific Northwest for bee forage is August and September. Now understand, I like the result of any work project I do to be as easy as possible to achieve and maintain. It’s not really being lazy, it is just working smarter. If I can plan a job with an objective that at a certain point becomes as maintenance free as possible, I’m there! As far as bee forage, I’m betting this year on The Chinese Tallow Tree, also know as the Ben Franklin Tree. They produce blossoms from August until the first heavy frost and do well in our climate. In an article published in the 1979 American Bee Journal, Hayes states “The Chinese tallow tree has become the most successful tree nectar source ever introduced into the United States.” I have not done business with this companies yet, so I can’t give them a personal recommendation. I just link them for everyone to check the tree out. Does a Multi-hive Style Apiary Make for a Tired Beekeeper? Does incorporating Alternative style Top Bar and Warre hives into a Langstroth hive apiary make one a better beekeeper? It does make for a lot more work! 3 different hardware styles, none of the parts are interchangeable. The reason and purpose why the 3 hives were developed are different with 3 different management styles. But- keeping a multi-style hive apiary can’t help but hone a keeper’s skills. Working with the bees under different conditions, using different methods of management in different hives does make one a more aware, skilled, and tired keeper. Keeping bees in 3 different style hives at the same time can be used as a measurement of skill but may also be used as a measurement of sanity :-). One important fact I learned is that each hive style was developed with different reasons, purposes and expectations in mind. Each requires a different management style. Learning the technical side of managing 3 different styles will expand a keeper’s knowledge and patience. The bees in Alternative hives are given more “free rein” to do what they want. Managing bees under those conditions does require a bit of patience. My often used description of this “free rein” management style is- “Bees don’t read the instructions” Briefly, here are descriptions of the 3 hives of a multi-hive style apiary. Rev. Lorenzo Lorraine Langstroth developed the Langstroth hive in 1852. He saw honey as a resource and the honey bee colonies as little natural industrialized societies that, with the proper habitat or “factory”, could produce a large amount of products for humans. He saw the bee colony as an industrial factory and the apiary as an industrial complex. His hive and management focused on a maximum production concept. This hive has different size boxes and frames and can be managed by the frame and box. Abbe’ Emile Warre developed his hive and management in the early 1900's attempting to incorporate a happy medium of the bee’s natural world and mankind’s desire for products from the hive. Emile called his hive The People’s Hive and it is managed vertically and although it can be managed by a bar at a time it is easier to work the hive by the box. Of these 3 hives it requires the least management and hive products are less then the Langstroth. The Top Bar hive has the “deepest” past with versions of it being mentioned as far back as ancient Egypt. During an era of skeps, clay tubes, and hollow logs, versions of top bar styles began to appear as methods of managing hives without struggling with fixed combs. Credit for the present day Kenyan Top Bar hive seems to go to Dr. Maurice Smith of Canada who developed today’s sloped sided version of the hive in the early 1970's. This hive is managed horizontally, in a single box, and by a single bar at a time. As with the Warre, produces less hive products then the Langstroth. The most important thing I learned that is the most valuable for me to realize and the greatest benefit to the bees. “One can not assume that the health of a colony can be guaranteed based solely on the style of hive they are kept in.” Choosing any particular style of hive didn’t grant me a freedom from management as in “hands free”. Each hive style presents a different style of management. Alternative hives may require less management but it is less management in relation to maximizing hive production. For many reasons in today’s beekeeping, all hive styles require a vigilant management for colony health. Posted on August 31, 2016 September 5, 2016 Author Ernie SchmidtCategories Alternative BeekeepingTags 2016, Alternative Beekeeping, beehivesLeave a comment on Does a Multi-hive Style Apiary Make for a Tired Beekeeper? 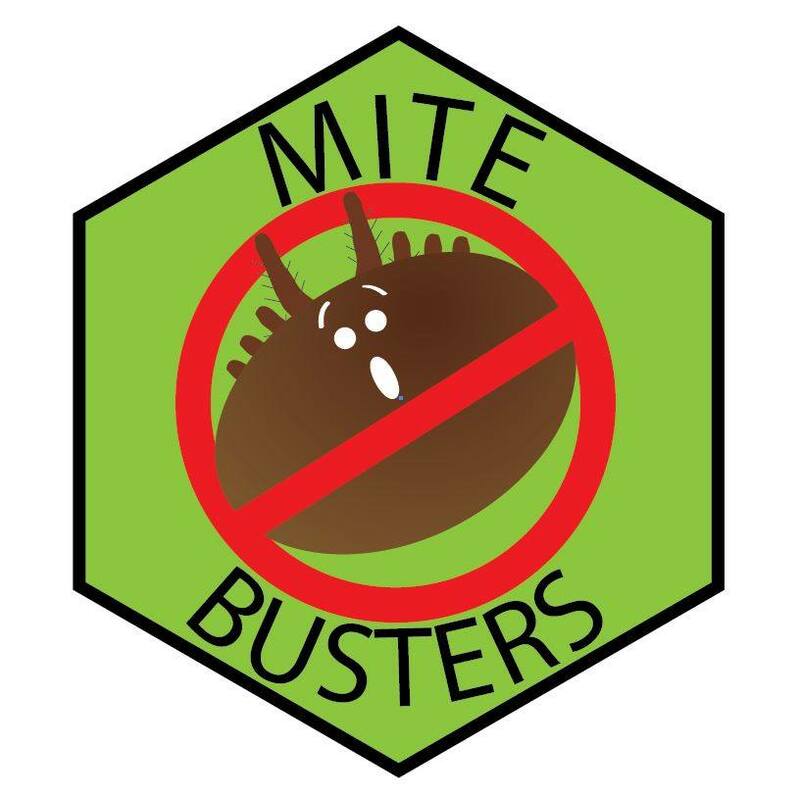 Mite Busters! How to avoid colony loss this winter. To avoid colony loss this winter you MUST act now! Our August Program featured the dynamic honey bee expert and Green River College Professor Danny Najera sharing his latest knowledge and information. See GRCC honeybees on Facebook here! Make donations to his honeybee program here. Tracking our Native Blooms here. 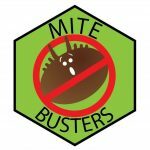 Posted on August 9, 2016 August 12, 2016 Author NathanCategories Projects, Resources, UpdatesTags 2016, Alternative Beekeeping, Demonstrations, varroa mitesLeave a comment on Mite Busters! How to avoid colony loss this winter. Keeping Bees Alive and Healthy – Proactive or Reactive Management? In the American dictionary the definition of health is “ the state of being free from illness or injury”. For the sake of discussion in this column I want to establish that managing health and treating for illness as two different aspects of management. There is a difference between treating illness and optimizing health. When a treatment of some kind is required it indicates an unhealthy condition. Treating is a reactionary management after an illness or pest has been detected. In managing health there are specific things we can do to maintain health and prevent illness, which is the proactive management of health. Reactive or proactive is not a right or wrong thing. In today’s beekeeping it is imperative to understand about and always be on alert for aliments that are or might affect our colonies and manage our hives appropriately. We can be proactive, applying a concept of working on creating conditions to enhance health before there is an indication sickness. That being said, let me confuse the issue. There is also a gray area called ”preventive maintenance treatment”. An example of that is a treatment for Varroa mites before the mites reach a critical level. I equate this management to humans receiving flu vaccine shots. Technically it’s a treatment, but a proactive treatment of a healthy organism to maintain health. In Alternative beekeeping there is a management concept that- if given the chance, the bees themselves can be both proactive and reactive in their own colony’s health. Michael Bush puts it very well in his book- “The Practical Beekeeper” when he says, “Give them the resources to resolve the problem and let them. If you can’t give them the resources, then limit the need for the resources”. An example he gives for giving resources and letting them resolve the problem is a queen-less hive. Give the colony a frame of brood once a week for 3 weeks and they will resolve the problem by making their own new queen. An example of limiting resources is one we all know- how we help the bees resolve the problem of hive robbing for themselves. We reduce or limit the size of one of their resources, the entrance. The strongest proactive form of maintaining Alternative healthy bees is starting with the strongest, healthiest bees we can. There is a growing realization that much of what we try to do as keepers to keep bees healthy and alive is exacerbated by poor or weak genetics, commercially narrowed gene pool, relocated genetics, (southern queens born and bred in the south and shipped to northern states). Starting with the strongest stock we can obtain helps immensely in keeping bees using Alternative methods of management. In colonies started with a package- replace the package queen as soon as possible with a regional queen. There are some methods of breeding your own queen on a small scale. I find it far more convenient to purchase my regional queens from local breeders. We have some good queen breeders here in Western Washington state. Catch swarms. There is no guarantee that the swarm you are catching isn’t someone else’s commercial genetics hive that swarmed. However the odds are far better that a swarm has stronger genetics than a package. I do catch some grief from beekeepers when I talk about this last subject. Don’t worry if your colony swarms. I’m not saying “try” to get them to swarm, just don’t think it is a bad thing. Realize that it’s the colony’s proactive method of a healthy hive. Many of the aliments of the hive are brood related. The temporary reduction and lack of brood during the swarming period helps control these issues. Also the new virgin queen in your hive will breed with local drones and become your first generation regionally bred queen. Posted on August 8, 2016 August 9, 2016 Author Ernie SchmidtCategories Alternative BeekeepingTags 2016, Alternative Beekeeping, queens, Washington StateLeave a comment on Keeping Bees Alive and Healthy – Proactive or Reactive Management? Does it make a difference what you build your hives out of? Depends on who you ask and the answer will depend on why and how they keep bees. It is generally accepted that commercial hives serve a different purpose then Alternative hives. The wood and other materials used to construct commercial hives are excellent for the purpose they serve. Many times a keeper wants to make the hive itself- a symbol of statement. Neat rows of bright white Lang hives have a beauty showing a pride of ownership. Some keepers of Lang hives make their hives yard art by decoratively painting them with bright colors and designs. The bee hive can be a piece of art that just happens to house honey bees. Western Red Cedar hives are very attractive in the Alternative beekeeping circles. They do make an attractive piece of yard art that houses bees. A hive of any style made of Western Red Cedar has a natural level of unique aesthetic beauty. The wood has the quality of not being uniform in appearance. Every piece of cedar will have a different design of color, grain, and knot pattern. When I build with it, I organize the pieces of wood out on the work bench. I will move them around, turn them over, study the wood, looking to maximize that uniqueness. I make a deliberate effort to accent the beauty of the wood. Then build it into the bee homes I am making. When I build hives for other keepers I guarantee them their hive will be “one of a kind”. Western Red Cedar is more then just a beautiful wood to look at. It has several physical qualities making it an excellent material to make bee homes with. Cedar is a wood with a very low density. Low density means a high proportion of air spaces, which makes Cedar the best thermal insulator of all our common building wood. It has a 1 ½ to 2 times better insulating value then other woods. A hive with a higher insulated value assists the bees in managing the warming and cooling duties preformed by the bees in the hive. A low density also makes Cedar more dimensionally stable, shrinking and swelling less in a wet climate. That’s not to say that it doesn’t shrink or swell at all, it just doesn’t do it as much as other woods. Another property of Cedar that makes it a good hive building material is that it is hygroscopic. Meaning that the wood will absorb and expel moisture trying to balance with its surrounding environment. When I talk about this I say, “Cedar can breath”. The natural preservative properties in Cedar wood means it can also absorb high levels of moisture without developing mold and fungus growth. Being hygroscopic and resistant to mold and fungus is a good quality to have inside a bee hive because of the high levels of humidity and condensation the bees can produce. One thing I did find out, well I should say, I could not find- Evidence that building a hive out of Cedar will deter Wax moths. The Cedar wood appears to not have any properties that has any effect on any of the pest and diseases that affect honey bees. In my mind it would stand to reason that if there were substances in Cedar wood irritating or harmful to other insects it would have an adverse affect on the bees. Through it does make for lively debate in the social media beekeeping sites, I can not find any scientific study or verifiable evidence showing any adverse effects on bees kept in cedar hives. My experience building and using Cedar hives is that they do take bee housing to different level for both the keeper and the bees. Personally I refer to Cedar hives as “Bee Homes”.